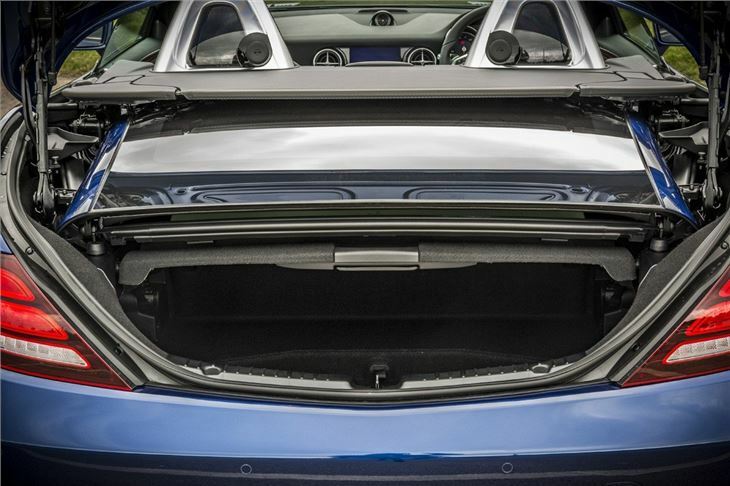 New name for revamped SLK, decent sized and useable boot for a folding hard top. 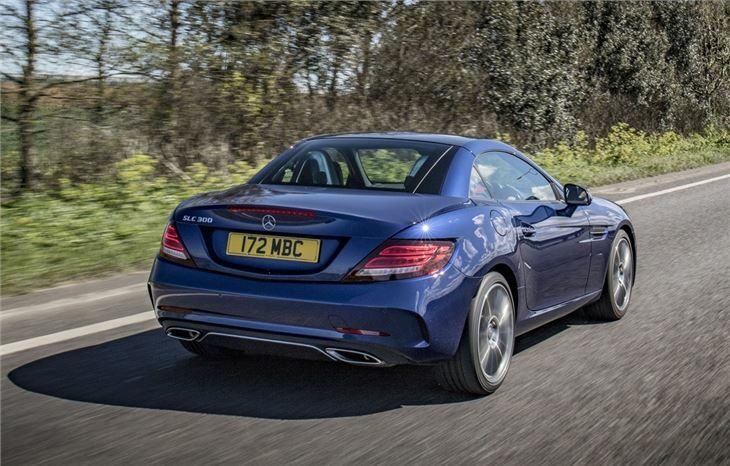 Mightily impressive claimed 70mpg from SLC 250 d. AMG 43 sounds terrific. A revamp rather than a new model. Cabin started to feel dated. Expensive list prices alongside Audi TT. 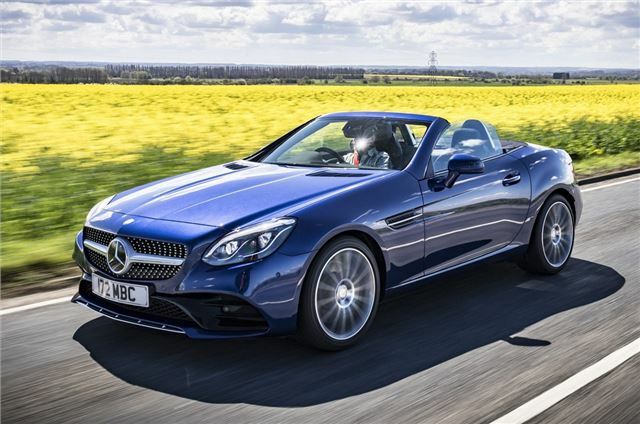 It may have a new name, but we doubt it will come as shock to you to discover that the SLC is essentially a revamped version of the SLK. Hopefully you didn't need a spoiler alert there, but is it more than just a new badge? Well there's been a slight redesign on the outside and some interior tweaks but the main changes are under the skin. 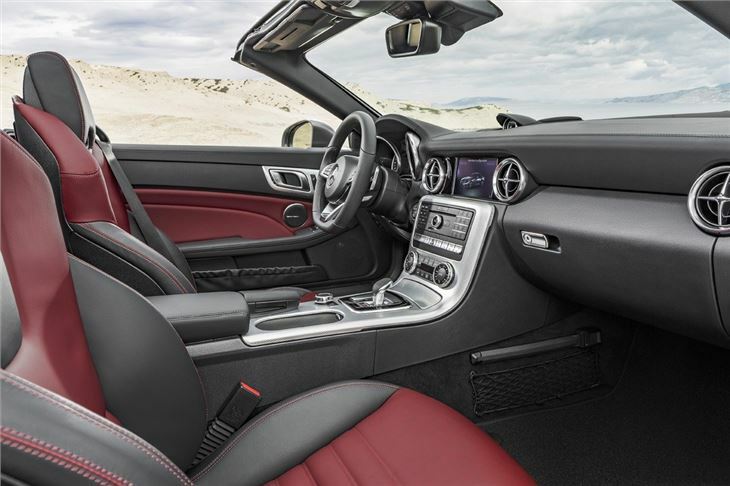 There's a new nine-speed automatic gearbox replacing the older 7G-Tronic and the big V8 from the AMG has been dropped, replaced by a 3.0-litre twin-turbo badged AMG SLC 43. 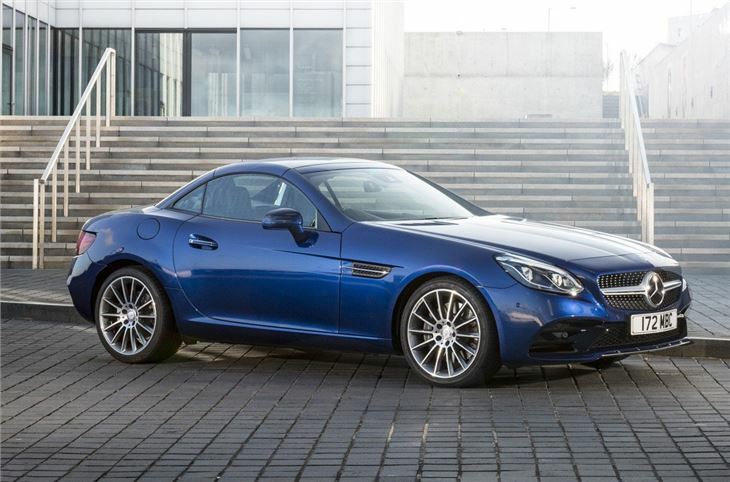 The SLK received a lukewarm reception when it was launched in 2011 so Mercedes-Benz needs to make some significant changes if it wants to compete with the most complete two-seater convertible around - the Audi TT. So how does it fare? Well the exterior redesign makes the SLC look more like its SL counterpart, but the changes to the interior can't hide the fact that the cabin is starting to feel distinctly dated. Especially compared to other Mercedes-Benz cars like the excellent E-Class. And alongside the Audi TT it's button heavy and quite clunky in its operation. So does it redeem itself when it comes to road manners? Well it's somewhat of a mixed bag. The ride is decent for a convertible but tends to lack finesse over poorer quality surfaces and while it's very well poised in corners, the SLC leaves you feeling a little cold and unconnected to the whole driving experience. It handles very well but is all a little clinical. The SLC is also expensive when compared to the competition. The entry-level model is £1000 more than an equivalent Audi TT, albeit the TT gets a fabric hood rather than the folding metal roof of the SLC. 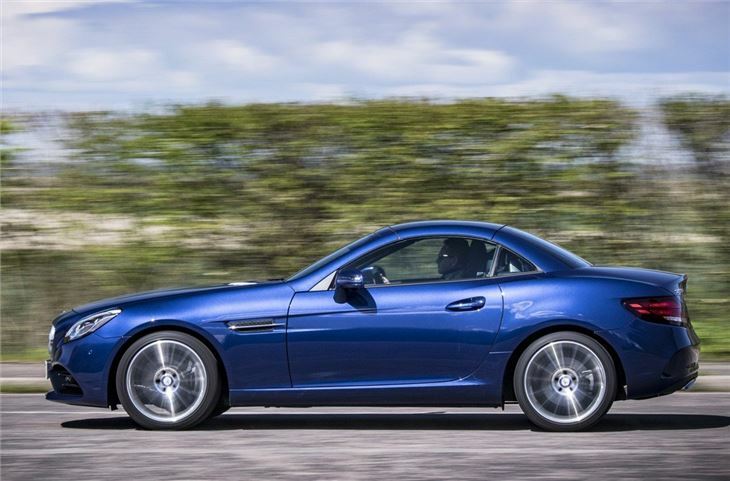 It's more competitive alongside the BMW Z4 - a car which also has a folding top - but the Z4 is a far more enjoyable driver's car. 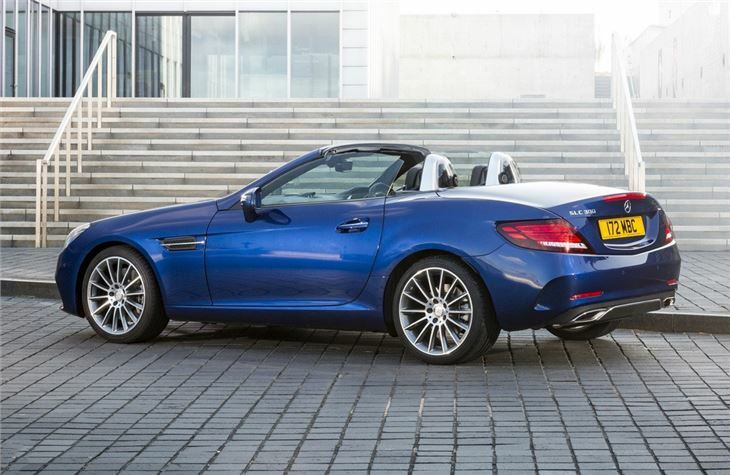 In isolation, the SLK is a decent convertible with the neat handling and folding metal hard top being big selling points. Of course having a three-pointed star on the grille doesn't do it any harm either - it's indeed a very desirable thing. But it's not a car that's ever that enjoyable or engaging to drive and ultimately the competition from Audi and BMW does it better. Quality, performance, economy, style and open air fun!